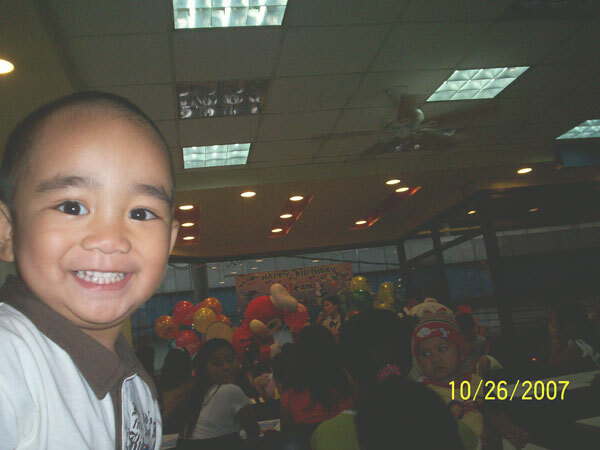 Sean and I attended a birthday party held in Jollibee PGH Taft. While we were in the jeep, he was so behaved. When we received the invitation card few days ago, we asked him if he is still afraid of Jollibee. He said he’s not because he’s already a big boy. The party starts at 4PM but we arrived at half past 4 already, most of the kids were in front while the games were being played. 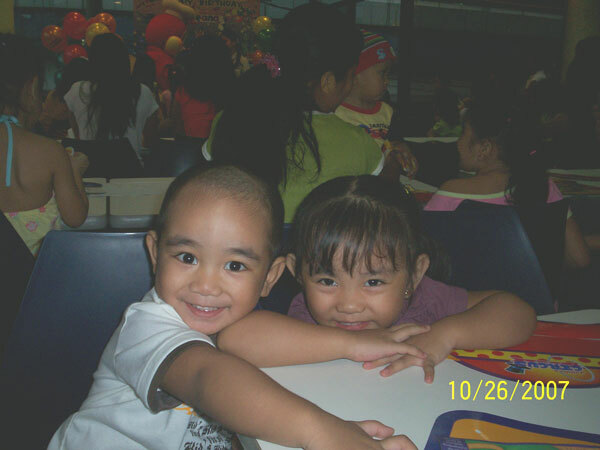 We asked Sean and his cousin, Ate Dea to go in front and join in the game but they didn’t want to. Few minutes later I was wondering why Sean looks bothered, he keeps on moving his seat near mine… he didn’t say anything until I saw Jollibee mascot entering the premises. I realized he’s still afraid of Jollibee. “Akala ko ba big boy ka na, di ka na takot”, I said. “No, small pa, baby pa!”, he replied. 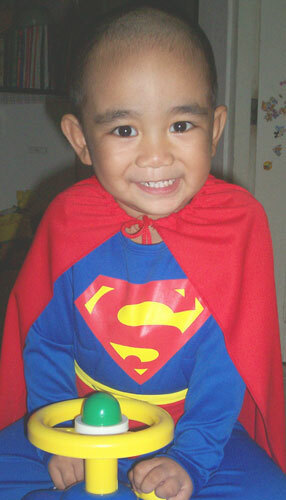 I kept on telling him that Jollibee is just a man wearing a costume, just like him when he wears his superman costume. 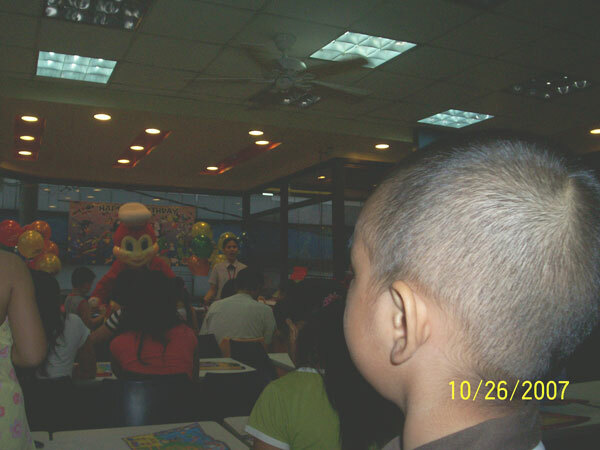 Sean was contented seeing Jollibee in a distance, he was so happy watching him, but he never wanted to be near him at all. I remember my niece who was afraid of the security guard at Jollibee 🙂 but Sean has the reason to get afraid of the mascot kasi sa costume siguro. He’ll get over it. Happy Halloween! Bakit xa natatakot kay Jollibee? kinagat ba xa?